2012 got off to a flying start! 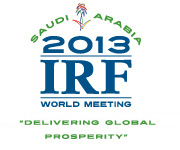 Both the United Nations and the European Commission have sought IRF’s active cooperation on a number of issues. These notably include the appointment of IRF as a member of the European ITS Advisory Group, which operates under the auspices of the Commission’s DG MOVE (Mobility & Transport), as well as its involvement in the public consultation to gather views and additional information on the possible introduction of EU wide measures related to Sustainable Consumption and Production, and the United Nations kick off session on ITS for sustainable mobility. 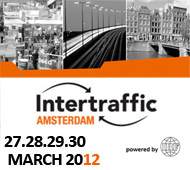 Other exciting events are planned in the months ahead – beginning with the landmark Intertraffic Amsterdam trade fair and exhibition, which will bring together the global road infrastructure industry to showcase the latest innovative products and services. Once again, IRF will be prominently represented at this key international event and we look forward to welcoming you at our stand (number 09.509) in Hall 9. You are also cordially invited to join us on Wednesday 28th March at 17h00 in the Theatre in Hall 9, where we will be hosting a special reception around the theme, Celebrating Achievement. This will feature the flagship product launch of RADaR, IRF’s pioneering new Road Accident Data Recorder Application, as well as the official ceremony to present the IRF Personality of the Year award to H.E. Dr. Essam Sharaf, Former Prime Minister of Egypt. For those of you who are members of the IRF Environment Committee and/or the Group of Experts on Road Safety, Intertraffic will provide the occasion to gather and develop the road agenda for the future. Both groups will meet on the morning of Wednesday, 28 March 2012, from 9h00 onwards, within the exhibition centre. We particularly look forward to welcoming our new members to these IRF meetings and events, and encourage all of you to send us your latest news for publication on the IRF platform, which reaches out to more than 10’000 leading professionals worldwide. Enjoy reading this newsletter, and we hope to see you soon in Amsterdam! The Directorate-General for Mobility and Transport (DG MOVE) of the European Commission has set up a high level group of experts on Intelligent Transport Systems (the European ITS Advisory Group). End of January, the members of this European ITS Advisory Group have been appointed by Mr. Matthias Ruete, Director-General for Mobility and Transport DG, and we are please to inform the IRF members that their voice will be heard as we have been selected to be part of this newly created expert group of the European Commission. Public-Private Partnerships (PPP) Days is the premier global meeting for public sector PPP practitioners. Jointly hosted by United Nations Economic Commission for Europe (UNECE), the World Bank Institute and the Asian Development Bank, the PPP days provided a forum for those charged with developing and implementing PPP programmes. During this four day conference held in Geneva from 21-24 February 2012, PPP practitioners from public sector, international consultants and financial institutions met to analyse and explore innovative PPP models and key policy issues. By organising a Policy Segment on Intelligent Transport Systems (ITS), held on 28 February 2012 at the UN Palace in Geneva, the UNECE kicked off its ITS activities and gave a clear signal that it is committed to enable ITS to play its role in solving today's mobility challenges. The event was held in the framework of the UNECE Inland Transport Committee meeting, where governments from UNECE Member States came together to discuss ongoing affairs in UNECE's transport activities. The European Commission is holding a public consultation to gather views and additional information on the possible introduction of EU wide measures related to Sustainable Consumption and Production. The consultation is organized in the form of an on-line questionnaire articulated around four sections. Statistics Workshop "Measuring Investment in Transport Infrastructure"
Our Statistician, Cristian Gonzalez, took part as a speaker in the International Transport Forum, Joint Transport Research Centre's Workshop entitled "Measuring Investment in Transport Infrastructure", held at the International Energy Agency in Paris, France, on 9-10 February 2012. The target of this Workshop was to discuss and better understand transport infrastructure investment and maintenance data. Roads Australia, an IRF member, coordinated a one-week programme of meetings and workshops during the visit of Susanna Zammataro, Deputy Director General of IRF Geneva, to Australia. The week kicked off with a Sustainability Workshop hosted in AECOM offices in Sydney. The latter was an opportunity for Roads Australia’s members to learn from IRF on international practices concerning green public procurement and carbon assessment tools. Join now and win two months of membership. By joining the IRF today, your membership* will run from now to the end of 2012. If you join now, you can already profit from the next IRF Bulletin, and the IRF World Road Statistics. To join, click here or contact Rohit Chandra-Mouli at rchandra@irfnet.org or +41 22 306 02 60. *Membership becomes effective with payment. 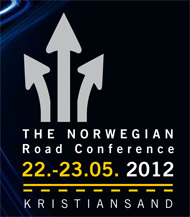 This conference is for Norwegian and international road professionals. There will be translation from Norwegian to English provided during the full program. It is an unique opportunity for the international road industry to get an introduction to the Norwegian market. There are enormous needs for maintaining, upgrading and modernizing the Norwegian trunk road network. The Road Authorities recently published a report saying the maintenance backlog is esteemed to be approximately 25 - 60 billion NOK, and the need for investments 400 - 500 billion NOK. For the period 2010-2013, the trunk road budgets increased by 45 %, and there is an expected increase by another 45 % for the period 2013-2023. Norway does not have the capacity to handle the increased activities by themselves, whether it is within strategic development of handling the maintenance backlog, planning and consultancy expertise, road building and equipment. Norway would need to attract the international road sector in the future to a much larger extent than experienced thus far. Vilrid Femoen from the Norwegian Road Federation and chair of the IRF Road Financing & Economics Committee looks forward to welcoming road professionals to beautiful Norway.